**Seller providing County Occupancy Permit and Home Warranty is being offered. Home is in good shape, however home is being offered as is. ** Welcome home to 11200 Marley Drive! 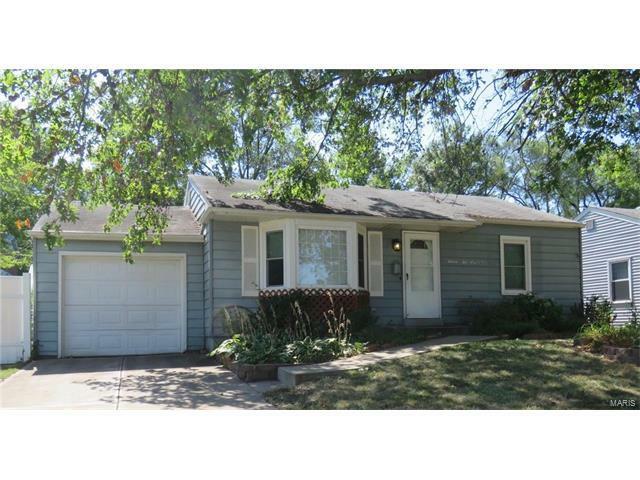 Lindbergh Schools, 3 bed, 2 bath. Step inside to a lovely front facing family room with hardwood floors and bay window. Next the flowing floor plan opens up into the kitchen (fridge and microwave to stay,) with ample counter space with pantry. Off the kitchen is a bright breakfast room. Oversized LARGE 18'x17.5' master bedroom, vaulted ceilings, laminate floors with convenient main floor laundry (dryer to stay,) tucked between the walk-in closet and master bath with updated vanity and toilet. 2 more bedrooms with hardwood floors and another full bathroom with updated vanity and toilet complete the interior of this home. Off the bright and sunny breakfast room, walk out to a covered deck and well sized fenced in back yard. This house is eager to become your next family home!